There’s something about these old Wagoneers. They grow on you. 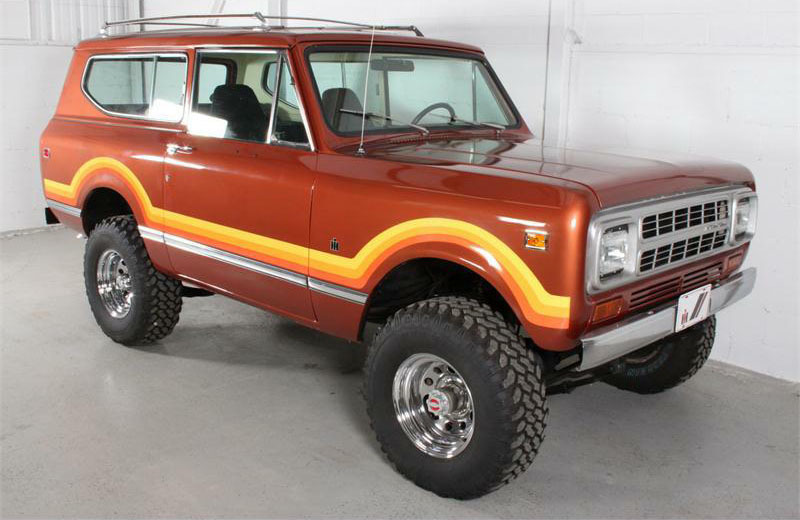 This was America’s first luxury SUV: rugged, wood-paneled, beautiful. This 1988 Jeep Grand Wagoneer is powered by a 360 c.i. (5.9-liter) V8 and has a low 140 hp but a respectable 273 lb-ft of torque, and an automatic transmission. It has traveled just over 100,000 miles, although the seller states that engine was replaced at 66,000 miles. He also states that the truck has been restored. He lists a number of replaced parts but doesn’t state whether this was a frame-off restoration or not. According to Wikipedia the 1987–1991 (the last year of production) models are considered the “best of the breed,” as these include upgrades such as better paint and wheels. The 1989-and-later trucks had further fit, finish, and mechanical improvements. One such improvement was a rear wiper assembly which, unfortunately, this one lacks. The color combination on this one is fantastic though: Spinnaker Blue and wood paneling over a beige leather-and-fabric interior. Check out how thick the carpets are. Have a look at the amazing plaid ceiling. 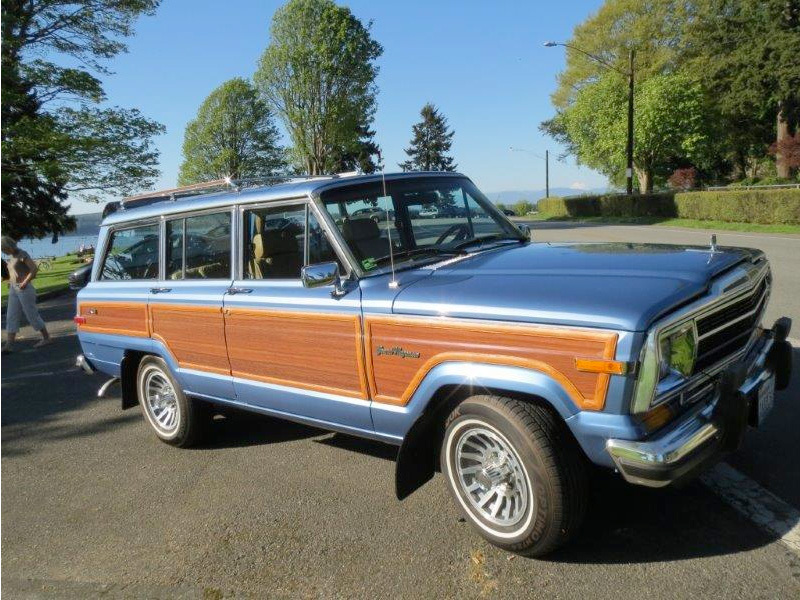 This Wagoneer is available on ebay and located in Everett, Washington. The bidding currently stands at $7,100 with an unmet reserve. The Buy-It-Now price is $44k. The auction closes in about four days. If you’d like to do additional research, check out Wagoneer World, a Texas Wagonner dealer, GrandWagoneer.com, a restoration shop with hundreds of photos on their site, and, of course, Wikipedia. More photos of this truck below. Update 5/21/2013: The truck was bid up to $10,100 on ebay but failed to meet reserve. I spotted this rare, Land Cruiser BJ70 on the Expo forums the other day. It’s listed as having a turbocharged, 2.4-liter diesel and the photos show a manual transmission. It looks to be in great shape. The seller doesn’t list the build year or the mileage but does mention that it was legally imported from Japan in 2005. Other features that can be gleaned from the photos: snorkel, ARB bumper, winch, over-sized tires, roof rack and brush deflectors. 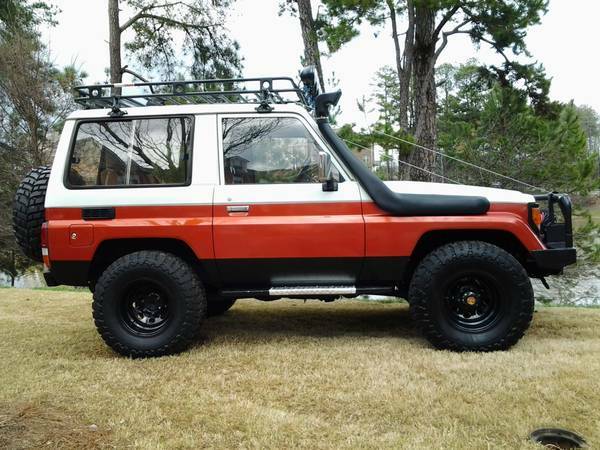 The word on the Expo forum is that this seller has sold other 70-series on occasion and so trading in rare Land Cruisers may be a business or hobby for him. The asking price is $18,500 and the vehicle is located in Atlanta, GA. To contact the seller find his phone number on the Craigslist ad. More photos after the jump. 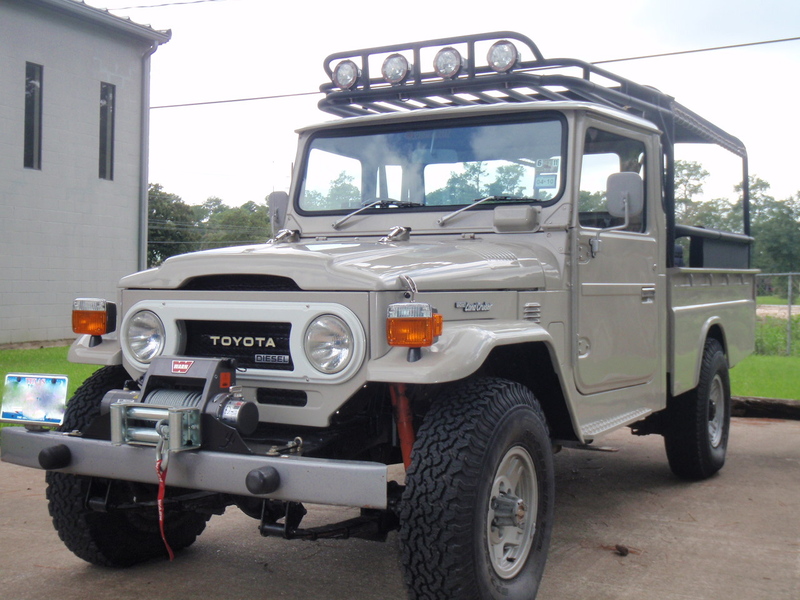 For more research on the 70-series Land Cruiser, check out the Toyota Vehicle Heritage site, Wikipedia, or this page. A new year brings new adventures. As you go about planning your trips, I thought you might like to see how we prep for ours. The time portal keeps opening up. Here’s the latest car to drive out. 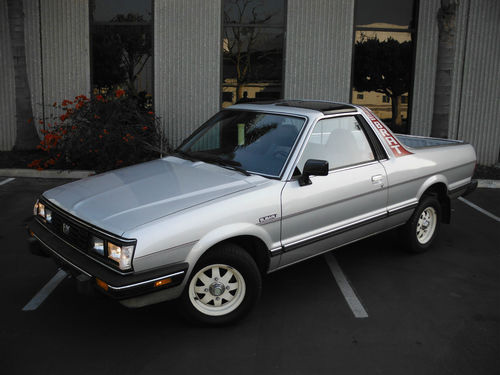 A 43k-mile, 1986 Subaru Brat. Although I’ve never driven one, I’ve always had a soft spot for these scrappy, little 4x4s. This one is equipped with its original 1.8l flat-four engine and 4-spd. manual gearbox. Although this one isn’t fitted with the optional, rear-facing seats, the seller has a set he’ll include for an extra $350, according to the ebay ad. What is included at no extra charge are what appear to be factory T-tops. Pretty sweet. This Subaru is located in Torrance, California (basically L.A.). Bidding currently stands at $9,500 with five days on the clock. See the rest of the post for more pics. Update: This Brat sold for $13,200. 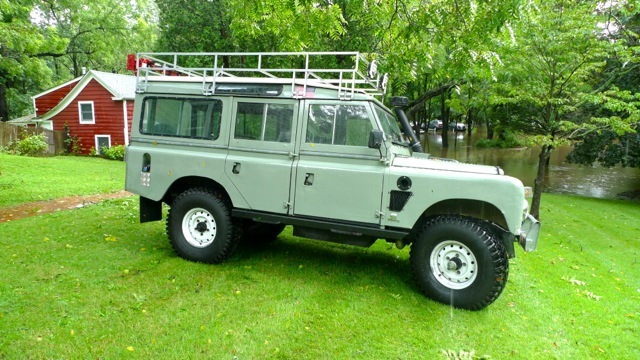 Just where is the time portal from which people are pulling these pristine 80s-era 4x4s? This sub-10k-mile, 1980 GMC Jimmy isn’t even covered in ecto-plasmic slime. It looks straight from the showroom floor. This model, in Sierra Blazer K5 trim, is equipped with a 350 V8, automatic transmission, and removable half-cab rear top. It’s rare to see one in such stock condition. If you want this one, you’d better hurry. It’ll only be on ebay for a few more hours. Bidding currently stands at $17,600. 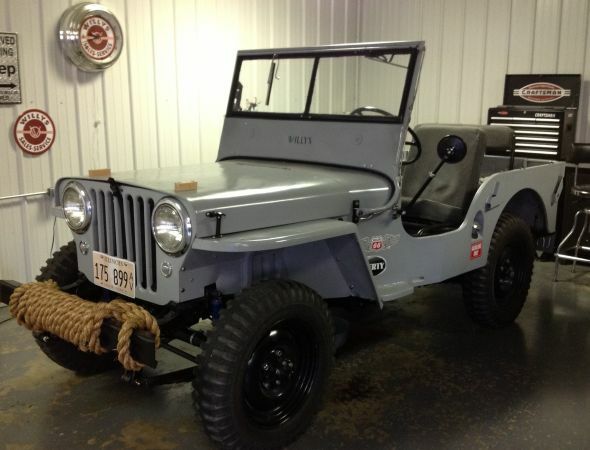 The seller reports that it sold at a Barrett Jackson auction for $20,500 in 2006. Update: This truck sold for $18,800. 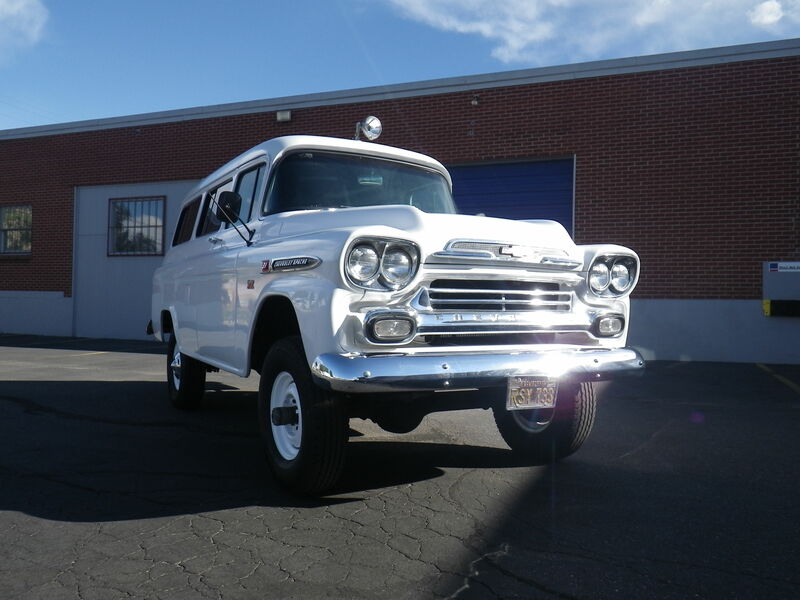 Here’s something you don’t see every day, a 1959 Chevy NAPCO Suburban. NAPCO was the company that made aftermarket 4-wheel-drive systems for GM trucks in the 1950s, before GM made them in-house. 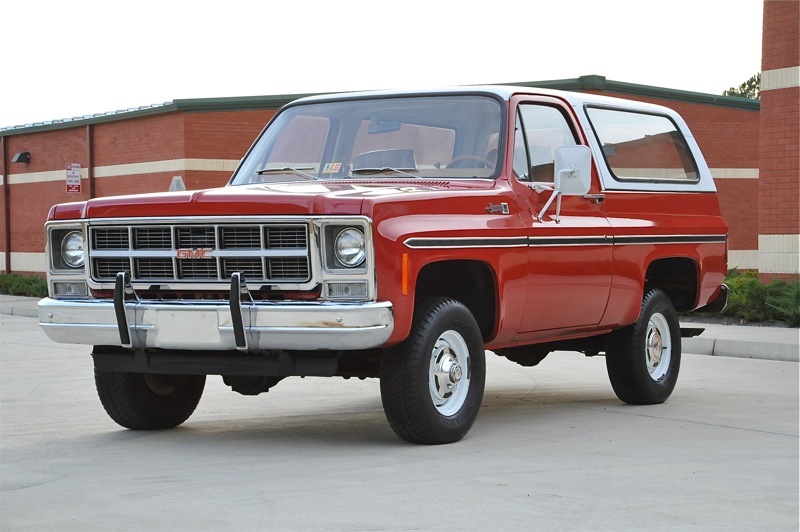 This truck has reportedly had a frame-off restoration, including a rebuild of its 6-cylinder engine, and has covered less than 1,000 miles since then. Although it can seat at least seven people, this is a two-door truck, not counting the clam shell rear tailgate. This one is available in Colorado via ebay. Buy it now for $29,950 or make an offer.